Haleigh’s Hope® Receives Very First USDA Organic Certification for a Vertically Integrated Hemp CBD Product. The cannabis research analytics company Headset, reported that Washington and Colorado – the two most mature markets in cannabis – experienced a 69% increase in tincture and sublingual sales from $21.7 million to $36.7 million in 2018. 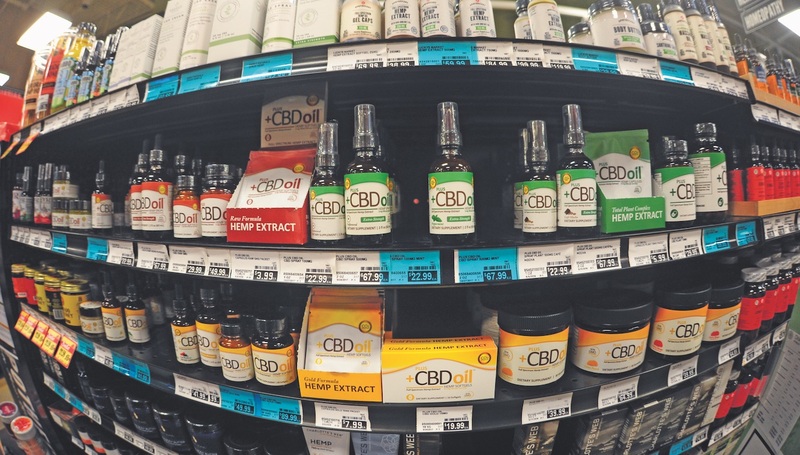 Sales in California, Colorado, Nevada, and Washington for tincture and sublingual products totaled $89.5 million in 2018 according to Headset. LONG BEACH, CA, April 01, 2019 (GLOBE NEWSWIRE) — via NEWMEDIAWIRE – Emerald Bioscience, Inc. (OTCQB: EMBI), a biopharmaceutical company focused on developing bioengineered cannabinoid-based therapeutics to address global medical indications, today announced that the Drug Enforcement Administration (DEA) has conducted a scientific review of the chemical structure of cannabidiol-­valine-hemisuccinate (CBDVHS) and determined that CBDVHS is not a regulated chemical nor controlled substance under the Controlled Substances Act.